Country roads, take me home. . . 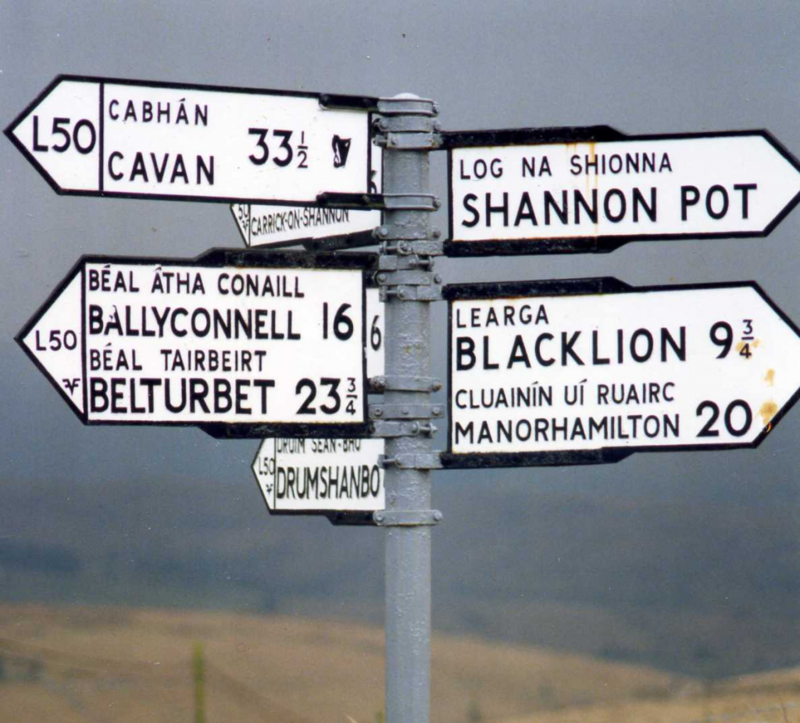 I decided this morning to get out the encyclopedia hibernia and check out where exactly Cavan and Kildare are. I have Seanie Johnston of Cavan/Kildare to thank for this. 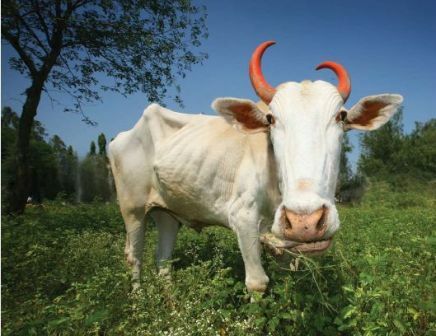 Everyone will be familiar with this sorry tale, a story of utility bills, player revolt, allegations of poaching if not grooming, travel to work time etc etc. It gets stranger day by day. It is not for us to pass judgement on whether Seanie Johnston is legitimately resident in Kildare and therefore entitled to play for the county he isn’t from or whether his new found affinity for the Lilywhites is merely him seeking a flag of convenience to further his career and maybe win some silverware. The Congress threw him a curve ball by declaring players cannot represent their adopted county until they have played a club championship match. This is a clumsy way of ensuring players are legitimately committing to a new club rather than hitching their cart to the nearest cause. The new rule is flawed because potentially a player could transfer lefitimately and miss the championship through injury thereby disqualifying themselves for a long period of time. The rule should perhaps include so additional alternative residential time period qualification. In our club for years another stronger club had their eyes on a player whose father had played for the years back. They repeatedly tried to poach him but our committee to their credit stood firm. He had ben developed through our youth system and we had invested time and effort in his progression. We were then less successful than now but it sent out a strong signal. Although it is not analagous to the Johnston affair, small and less successful counties will be wary of a larger team sniffing after their better players. Different indeed of a man moves to another town for work and is legitimately seeking a club to play for. 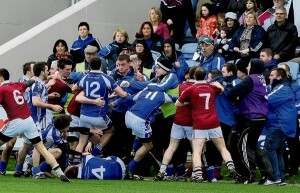 The ousting of Val Andrews by the Cavan players threw another curveball. It remains to be seen what way this will pan out. I suppose at the heart if it is the GAA’s core belief that it is better to lose with a band of your brothers than win with a band of blow ins. Packie celebrates splattering another full forward in the square. Following Congress earlier this month, the infamous Squareball rule has now bitten the dust. What will the pundits talk about this summer? Well, goalkeepers getting flattened by inrushing burly full forwards will be the first talking point. Or full forwards getting flattened by outrushing burly goalkeepers. Benny Tierney flagged this yesterday in the Irish News and I agree – I think teams will tactically deploy the big man two yeards further forward in the square as opposed to the edge of the square. Goalkeepers beware! Your grandad and granny will remember Bert Trautmann the Man City Goalkeep who played in an FA Cup Final with a dislocated shoulder after an incoming forward bursted him. In our club we used to play a form of Basketball invented by Philistines. This involved a sort of composite rules approach that allowed a version of rugby tackle and the odd sly punch in the ribs or balls depending on who was involved. The other feature was a big lad called Sean who stood under the basket, lurking with intent. He was an intimidating presence in there and caused mayhem. He would have relished the change in the Squareball ruling. In years gone by the GAA revelled in the big man who kept a tidy square. This inevitably involved a ‘Thou Shalt Not Pass’ approach that combined no-nonsense defending with pure thuggery. All to protect the ‘keeper of course. Squareball offered a modicum of protection but with that gone, the keeper will have to be able to look after himself. Enter Pascal McConnell the Tyrone netminder who has welcomed the change albeit cautiously. But then Packie has little to worry about, remember Gooch’s mysterious eye injury in the 2005 All Ireland when he dared to venture into Packie’s patch, dislodging a rogue ginger eyelash in the process that required some attention. The pundits will have to find something else to moan about. But then that shouldn’t be too hard for the miserable hoors. Roll on the summer. Many players can pass through their careers impervious to the drills inflicted on them by a succession of coaches. Some have the spatial awareness of a Johan Cruyff, knowing instinctively where to run and when, even in the most complicated drill. Others are like a character in a Samuel Beckett novel. They don’t know where they are, much less why they are there; any request to move results in futile chaos. Starting out as a coach can be an intimidating experience. Irrespective of how illustrious your playing career was, if at all. The metamorphosis from player to coach is not always simple and seamless. Faced with a sack full of balls, a stack of cones and a group of enthusiastic adults or children, I’ve seen terror strike the most self-confident and enthusiastic gael. It needn’t always be thus. 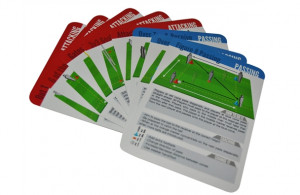 Now, thanks to Elevate Sports Solutions, help is at hand in an easily usable deck of coaching cards that can help any coach run a well planned and effective session, whether they are a beginner or an experienced bainisteoir. There are many courses now for coaches run by provincial councils, county boards, colleges and so on. Much more than there used to be. But still, learning for yourself how to run a session that is well planned and well executed can be daunting. There is information out there on the Internet, the difficulty is knowing what to use and what not to use. Things like what equipment to use, how long to run drills for etc; who runs where and who ends up where. When you try to replicate in training what you have read or seen can be tricky. Elevate have this fairly well cracked in this excellent product. The cards come in a robust package, well branded and designed. The pack includes 52 coaching cards, and a number of explanatory cards, slightly larger in size than the standard set of playing cards you’d see at the rear of any self respecting teambus. They are action packed with detail, user friendly and produced to a high standard. Any coach from basic beginner to All Ireland winner can pluck the pack from their pocket for an instant training session. Designer Donal Leahy was motivated to create his cards when after returning to gaelic football after an absence of years, he realised he had difficulty remembering what exactly he was supposed to be doing. His idea, supported by an easily accessible and highly usable mobile phonie App for iPhone and Android devices provides a very valuable coaching resource for any standard of coach. I found myself engrossed in reading through the various drills and routines. Some were familiar, others less so. As someone who has been coaching for many years it is an immediate thumbs up to find new ideas. The pack is handily colour coded into four suites covering passing, skills, defending and attacking. Each card sets out how to run a specific drill. It includes a graphic illutsrating the ideal layout of players, marker coners, goals etc; the main coaching points to be emphasised (I’ll come back to this as it is a fundamental point of coaching in my opinion); the specific quipment required to run the drill or game, typically this includes the number of participants and also crucially, the number of footballs! Finally each card has suggestions on how to change, condition and develop each drill if required. The first question I posed to myself when I opened the cards is how exactly would I use these. For every session I am taking I plan out the session in fine detail so I have a printed sheet with me for reference and timings etc. Having the Coaching cards does not remove the need to plan a session in advance. It may be the case the the coach might bring say six or eight cards to training have planned the session in advance, able to use the cards to jog the memory. If several coaches are involved, each having their own cards, each coach can literally work from the same sheet. It can help a group of coaches with a large squad split their charges into smaller groups, each working a specific routine. Whatever the choice there is sufficient flexibility for any number of quality sessions. The cards themselves are reasonably robust but how they would stand up to a good soaking tucked into pocket remains to be seen. I have taken to inserting my coaching sheets into Poly Pockets to keep them dry during a session. There’s nothing worse than going to check your notes and pulling a clump of porridge from the jacket. I would certainly not recommend turning up at a session, whippng out your cards for a game of dealer’s choice and running the session from there. The cards are very helpful in planning and executing a session, they are not a replacement for preparation. That is because some of the drills are very straightforward, others are advanced, requiring several reads through as instructions are very detailed. If they are read in advance, you will have at your fingertips everything you need to know on running a particular drill. This is not a criticism, it means the material is pitched at the right level. As mentioned earlier, the specific coaching points are an invaluable addition. Sometimes you can watch fellas running a session and it is clear that they have borrowed the idea but don’t know the point of it. That means that they cannot correct weaknesses, bad technique or poor decision making. I showed the cards round several friends. One is a ladies football coach just starting, She wanted them there and then. Another, a senior championship winning coach was highly impressed. A third, one of our underage coaches wanted to know where he could buy them. The answer is go to www.elevatesports.co.uk/home/. The cards are priced £14.99. Initially coaches may recoil but in reality this is cheap. It is a the cost of a decent Sports book and it provides drills that will keep you going for a long while to come. You can opt for the phone App at the same price which has sime funky functionality. You can download a trial version yourself and get planning those sessions. Elevate have raised the delivery of coaching resources to a new level with this innovative and handy coaching resource. I look forward to their next bright idea. 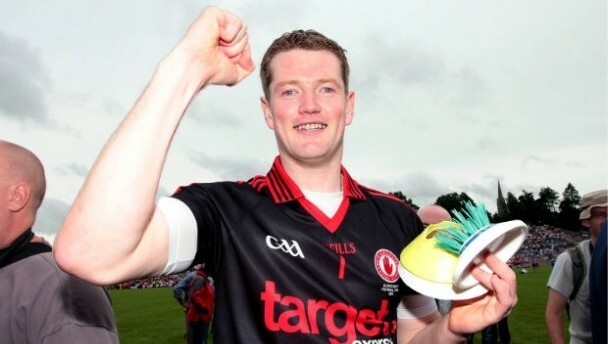 Hurley maker Micheal Scullion’s link with that great ‘83 team ensures the Shamrocks prospects have once again been handmade at home in Loughgiel by Scullion Hurls. 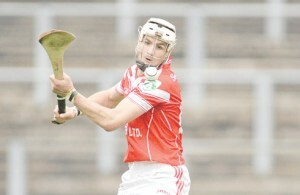 Like his father before him, Micheal Scullion is hurley maker to the Shamrocks as they seek to emulate the men of ’83. In the weeks coming up to the game Micheal has been flat out with the spokeshave ensuring the Shamrocks have the ash for the job in hand. That and a constant supply of new sliotars for training and challenge games. “There wasn’t a stick broken in the semi final. I was tempted to take the credit for that because of the way I’d made them. With his brothers Joey and Martin in the Loughgiel ranks, Micheal will be hurling every ball from the Stand in Croke Park come Saturday. He knows too that every score that comes from the hurl of Liam Watson and most of his teammates has its roots in his workshop nestling opposite Shamrock’s pitch. “It will be fantastic for the parish if we can win it” says Micheal. As a hurley maker he is delighted and immensely proud his handmade hurls will be used on the biggest stage of all in Croke Park on St Patrick’s Day. “It would be nice if Winker or our Joey could hit the winning score using one of my sticks, I just hope that boys can perform the way they did in the semi final again,” said Micheal with fingers crossed. Just one more step to complete that link with ’83 All Ireland team. 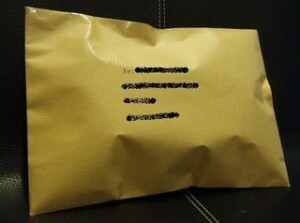 An authentic brown envelope. The name is scored out for obvious reasons. Shops selling brown envelopes are set to come under surveillance following the decision by the GAA to enforce its existing policy on the payment of managers. After all the hullabaloo over the vexed issue of payments, methinks they doth protest too much down in Croke Park and environs. I think we have all been victims of a scam, a hoax, a cunning trick and a clever plan whereby the Powers that Be were seen to exercise due diligence by admitting there was a problem and agreeing to consult membership and from there do something about it. The endgame? Well that’s easy figured out! Of course the majority of counties duly came back and called upon Croke Park to endorse, reinforce and implement the status quo rather than introduce some regulated and limited form of payment to managers. The irony and risibility of this cannot be lost on ordinary members. Counties whose roads are rife with coaches driving back and forth in well fuelled cars to take teams voted against any form of regulation. Now according to their will the only show in town as far managers are concerned, is the legitimate over-the-counter sort of payment that isn’t causing anyone problem. So no point talking about that. As for the other sort of problem, the under the counter, envelope in the back pocket, fill your car up there or here’s a load of free meat to keep you going nudge nudge. Well that doesn’t exist does it? You can’t touch what you can’t see can you? So how is anything to be done about this. God only knows. 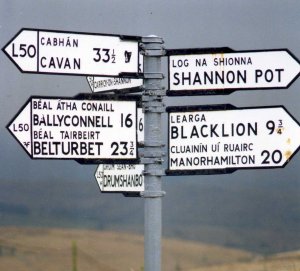 Monday’s GAA statement said that the majority of counties had opted against such a change of policy to a regulated system (which would have been flouted anyway). The management committee has now been mandated to fully implement the sport’s current official policy which bans payments to managers other than agreed expense. “Management Committee approved the engagement of external expertise to assist in the development of procedures and actions to give effect to such implementation. While the GAA has now indicated that it intends to tackle the area of unofficial payments to managers, it remains to be seen whether this will be possible in practice. I wouldn’t be holding my breath. And by the way, a white envelope will do the job just as handy! PS: Anyone know how to set up a bank account in the name of your dog? The Man from the Moy. I used to love watching Plunkett Donaghy being interviewed on the television. Especially when he made it on to the Monday evening news. Here was a man who was a refreshing change from the typical sports interview. Plunkett actually sounded like people I knew and talked the way they talked. He was from the Moy. To those who don’t know where the Moy is, it is a million miles away from the BBC. For an audience of sports fans fed a diet of Ulster rugby players like Trevor Ringland and even the heavily moustachioed stars of the Irish League, the likes of Ronnie McFall and Lindsay McKeown. Plunkett was an unreconstructed countryman to the core, blond hair gleaming in the camera and cheeks ruddy from a day flat out just being from the Moy. It was class. If you switched on national television the banalities of Saturday night football were everywhen. Sandwiched between the compulsory use of the word ‘obviously’ were the liberal sprinkling of banally banal phrases: ‘He’s hit it with his left peg and it’s flown into the net.’ Updated for the modern era by Andy Gray’s ‘Take a bow son’, no television football coverage was complete without total reinforcement of the stereotype image of footballer as an absolute moron, incapable of stringing a few coherent words together in any meaningful way. It usually was brought most starkly into focus when a foreign player sounded a hundred times more coherent than the local hero. The likes of Peter Schmeichel, Jan Molby before him. Even Ossie Ardiles form Argentina made more sense than the average league footballer. At least they could speak English. That is why Plunkett was different. But he was an acquired taste – you had to carve through the broad Tyrone accent to appreciate what he said. For all the craic nowadays when everybody has something to say and something or somebody. . . Twitter and Facebook just aren’t the same as an interview with Plunkett Donaghy. Next week. . . Eamon Coleman. Now there was another legend!